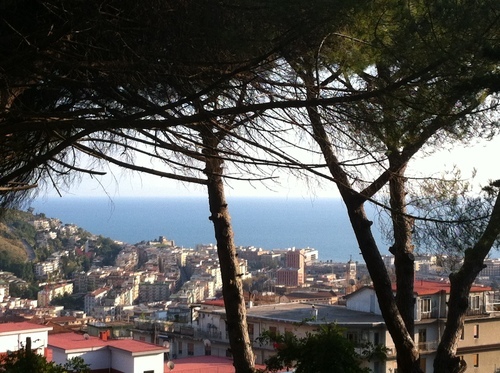 The Hospital Giovanni da Procida is situated in the highest part of Salerno. The structure is immersed in greenery, surrounded by oak trees and small lakes and overlooking the city's beautiful Gulf. In the late 1800s and early 1900s, the hospital was used as a sanatorium which became an expert centre for tubercolosis. In those years people believed that the sun (with its hot air) and the more rarefied air would allow healing. So sick people went there to receive the necessary attention and to relieve the disease which in those years caused thousands of deaths. 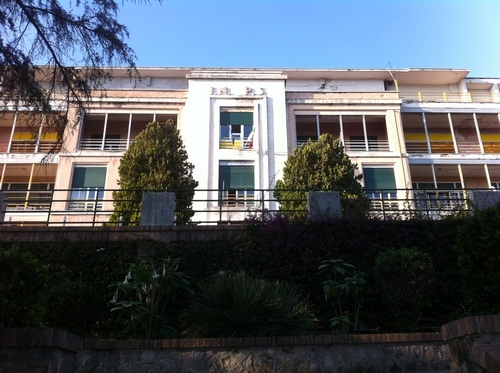 Thanks to its strategic location, the sanatorium was the scene of some reprisals during the Second World War and the American landing at Salerno occurred on 8 September 1943. Sanatorium started working in August 1912, not long away from the world wars. In fact, during the bombardments of 1942 and 1943, a lot of people took refuge on the hills where the Sanatorium is setteled. 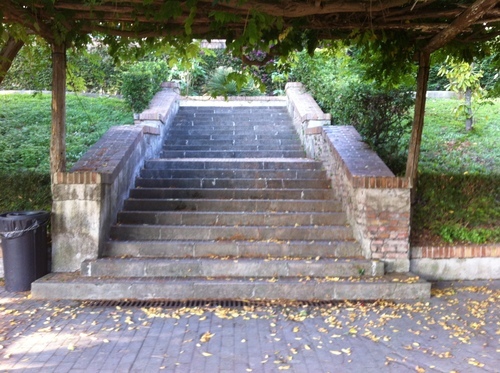 Some old witnesses and history lovers point out a fateful date for Salerno: June 21st 1943, 11.30am. It was the day of Saint Luigi and the siren, noisier and more annoying than usual, announced an imminent danger. In fact US bombed the Sanatorium and all the nearby places for three hours. 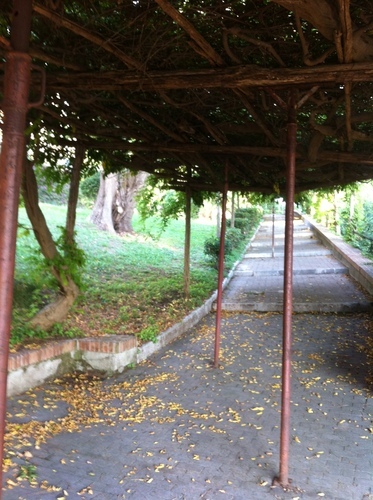 After the air raid, Sanatorium had relevant structural damage: it has been renovated three times since then. Furthermore we remember that at Sanatorium the 139th brigade '”Leicestershire” and the 5th battalion “Sherwood Forester” had a hand-to-hand combat against German Army. US forced Germans to fall back. 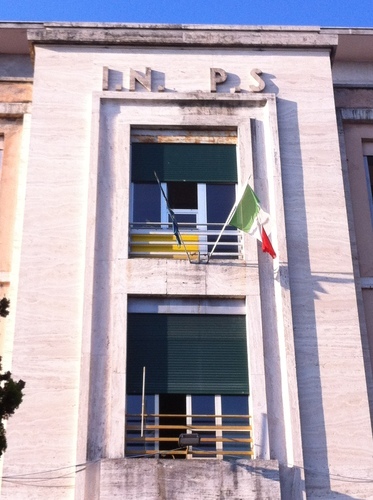 During the 50’s Sanatorium was used as base of Salerno’s INPS (Italian state body which coordinates national insurance funds). Some years later it was turned again into a Hospital and today it boasts to be an excellent institute of cure for comatose patients. 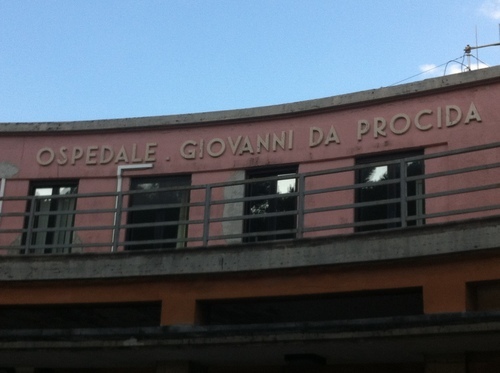 In the central hall of Hospital can be seen a Giovanni da Procida's bust.